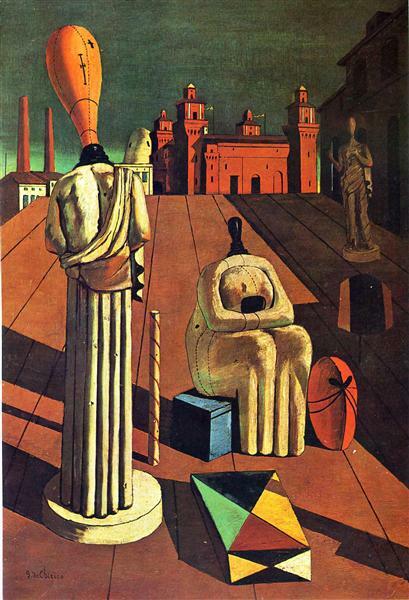 This painting is an example of the tower theme, which was a recurring element in De Chirico’s works, The Nostalgia of the Infinite of which is the most famous. 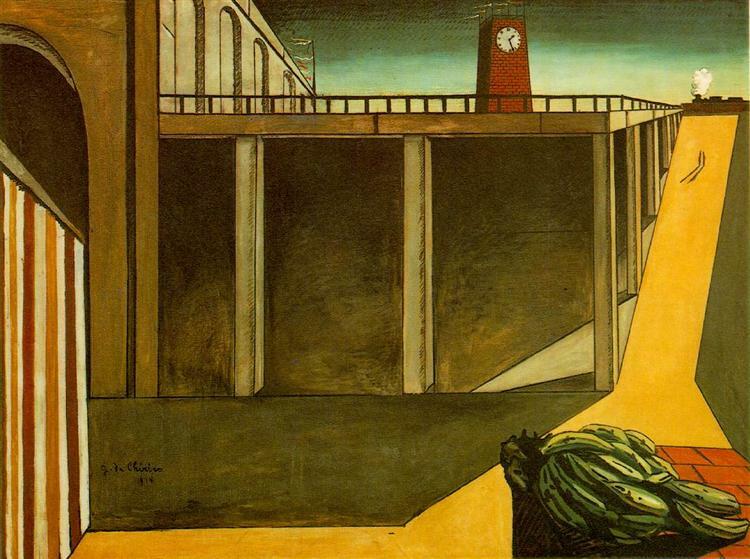 According to art historian Robert Hughes, the tower draws inspiration from the Mole Antonelliana, a landmark tower in the city of Turin, Italy. 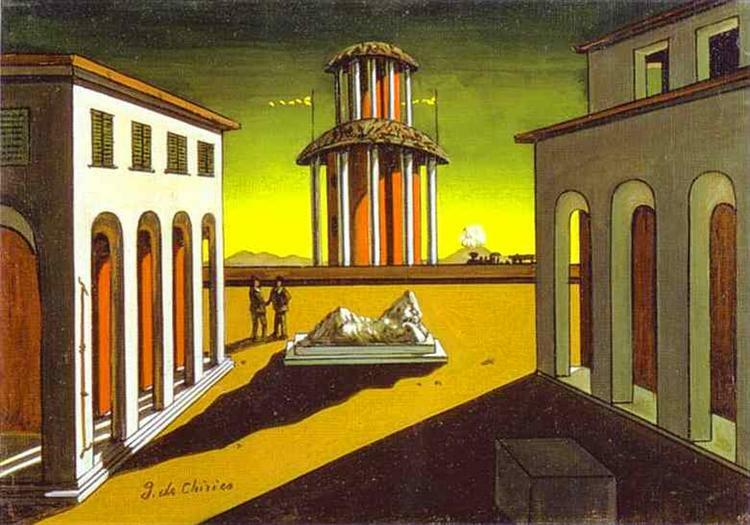 During his travels as an emerging artist, De Chirico traveled to Turin, and was inspired by its metaphysical presence, especially the architecture of its piazzas and archways. 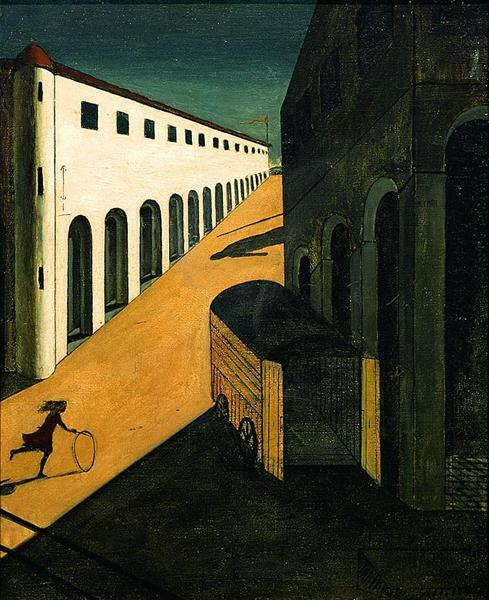 It was also a city he connected with Nietzsche, who occasionally summered in Turin, and of whose philosophy De Chirico was a follower. 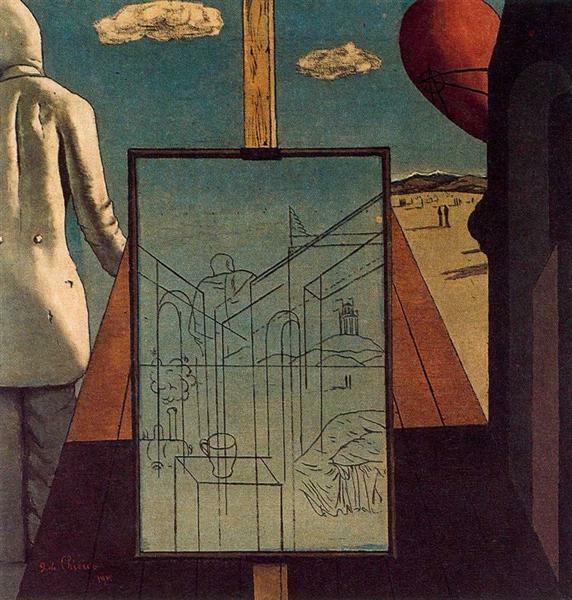 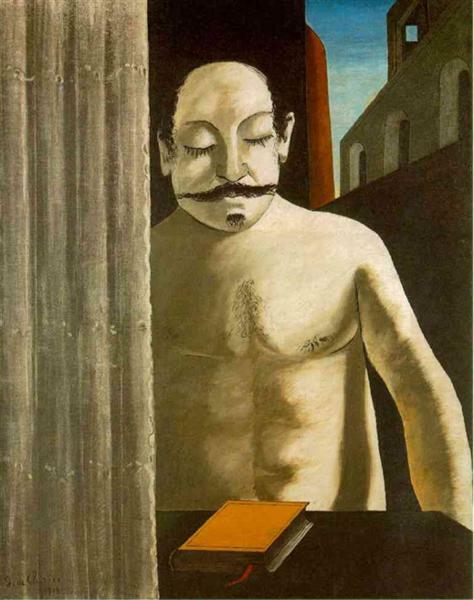 In modern media, this image has influenced the painting for the box cover of the video game Ico, which draws artistic inspiration from the many vast and lonely expanses apparent in De Chirico’s works.